Special Blizzard merchandise was featured at BlizzCon 2014, sold to those who attended or purchased the Virtual Ticket. Those products are now available to purchase by anyone, for a limited time. The BlizzCon 2014 merchandise at the Blizzard Gear Store can be purchased through November 24, or until supplies run out. Here are some promoted Diablo-themed products currently at the store. 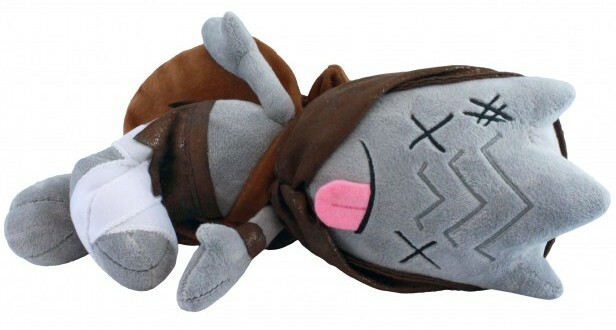 This demolished Dead Treasure Goblin Plush is the defeated version of the standard Treasure Goblin Plush. 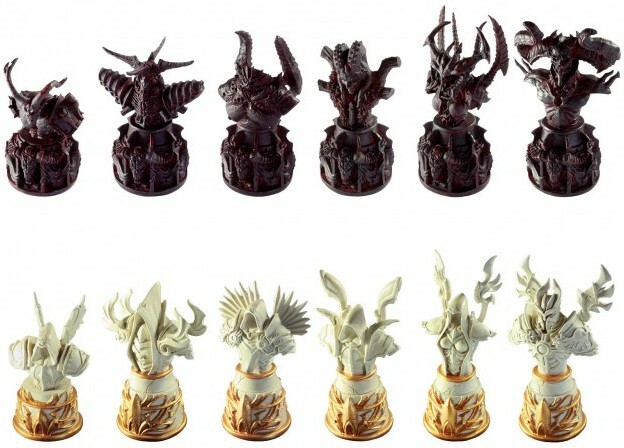 A Diablo chess set with pieces reflecting members of the Burning Hells and the High Heavens. It is a lovely set, if rather pricey. There are many products from all of Blizzard's franchises available in the post-BlizzCon sale. Many of these products have limited stock and the specials are only available until November 24, so order soon if you want something.